Planning a big fundraiser? Make every moment count. 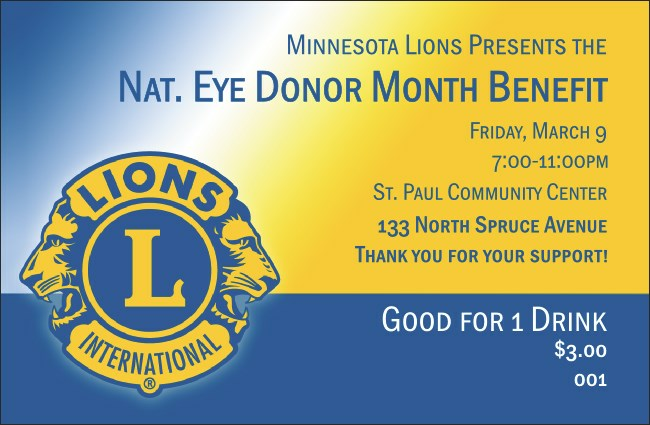 Make sure your guests are busy with activities and not waiting in line when you give them Lion's Club Drink Tickets. Individually numbered and featuring the colors and emblem of the organization. Focus on service and let TicketPrinting.com take care of the promotion.